Hillary Chybinski: Is Your Child In The Right Seat? Where and how do your kids ride in the car? Did you know that motor vehicle crashes are a leading cause of death for children age 1 to 13 in the US? The fatality rate could be reduced by about half, if the correct child safety seat were always used. This week, September 14 - 20, 2014 is Child Passenger Safety Week. With the help of the Ad Council and Element Associates, I'm bringing you some important information to help you keep your kids safe when they ride in the car. One of the goals of Child Passenger Safety Week is to encourage parents and caregivers (like you and me) to visit http://www.safercar.gov/TheRightSeat to determine if your child is in the right seat for his or her age and size. We are definitely "no tolerance" when it comes to car seats and seat belts. 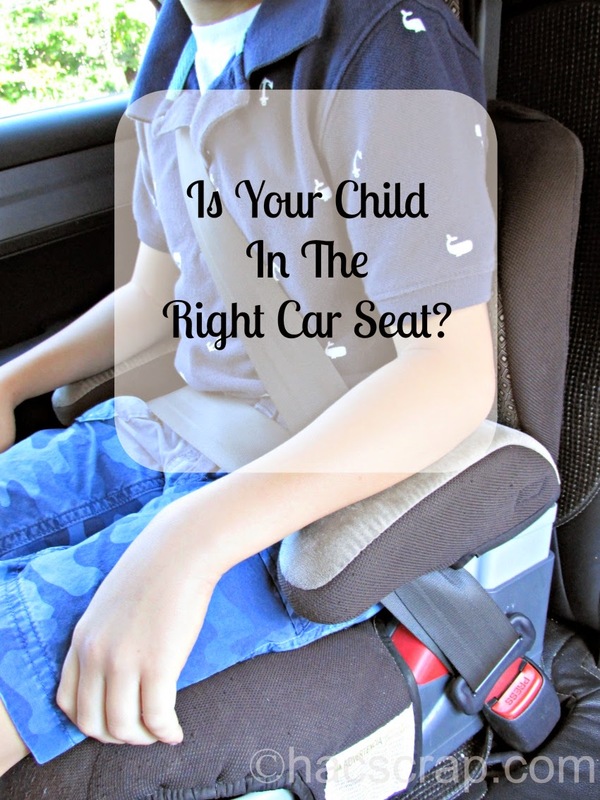 My kids ALWAYS ride in a car seat (if required) and wear seat belts, or we don't go. They are not allowed to unbuckle if the car is on - ever. We do not roam around the car in "carline" for school or camp. Car seat safety is not an option for us. Safety seats, if used correctly, dramatically reduce the risk of fatality or injury to children. When I was a child, I remember sitting on the arm rest in the front seat of my grandparents' Lincoln Continental. Can you imagine letting your child do that these days? We are so much smarter and there are more laws to protect our safety these days, however research shows that three out of every four seats are not used correctly. This means the child is not in the correct car seat for their age, height and weight OR the car seat is not installed correctly. If a car seat isn't installed properly, your child's safety could be in danger. Every car seat has different installation instructions. You can find resources and tips to help you get the right fit on your car seats online. I found out that the back of our son's booster seat needed to be raised up! You can also locate a seat check event in your area. Even as smart as we are, in 2012, over one-third (37%) of children killed in car crashes were not is car seat or wearing seat belts. That is 37% too many! While you're online, be sure to register your child's car seat with the manufacturer, so that you can be informed of any recalls. I hope you found this information useful - let's all be safe out there! This post was created in cooperation with the Ad Council, The Department of Transportation’s National Highway Traffic Safety Administration (NHTSA) and Element Associates to help raise awareness of a serious issue. I was not compensated for my time, and all statistics were provided to me. All opinions are as always, my own. As the seller of the car, most states do not require you dior replica to offer a warranty on the vehicle. Thus, if the car breaks after you have sold it, you are no longer responsible. To avoid problems gucci replica, make sure the car has been inspected rolex replica by a mechanic. If you are open about the condition gucci replica of the vehicle, you can feel confident that you have done everything you can do to be a successful car-seller.